Imagine looking at the wall of a room through the rapidly spinning blades of a fan. Under most conditions, the space beyond the blades will be visible as if through a semi-transparent field. This phenomenon is the basis for the episcotister, an instrument used by experimental psychologists in the 19th and early 20th centuries to study certain properties of visual perception. Using this instrument, experimenters could adjust the level of light perceived by an observer; if one imagines the face of an episcotister as a radial pattern of opaque blades and open space, then the greater the proportion of blade to space, the less light will be transmitted through the disc when it is set spinning. 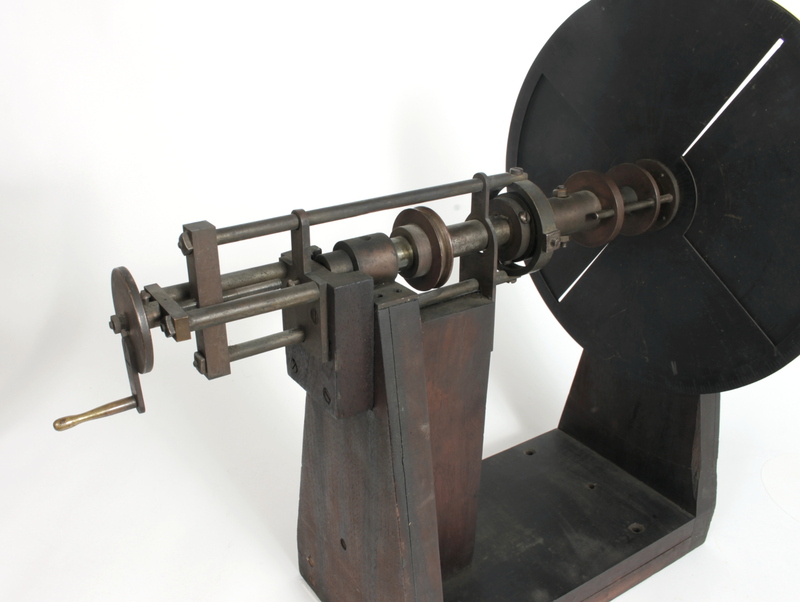 This artefact, a version of the episcotister whose blades can be adjusted while the disc is spinning, was built in a workshop at the University of Toronto in the first decade of the 20th century. It is, in part, an adaptation of an instrument developed decades earlier in Germany, where the science of experimental psychology had emerged in the mid 19th century. Its creator, the German-born psychologist August Kirschmann (1860-1932), led the University of Toronto Psychological Laboratory shortly after it was founded in 1891. This was the first such laboratory in Canada, and among the first generation of psychological laboratories founded in North America. 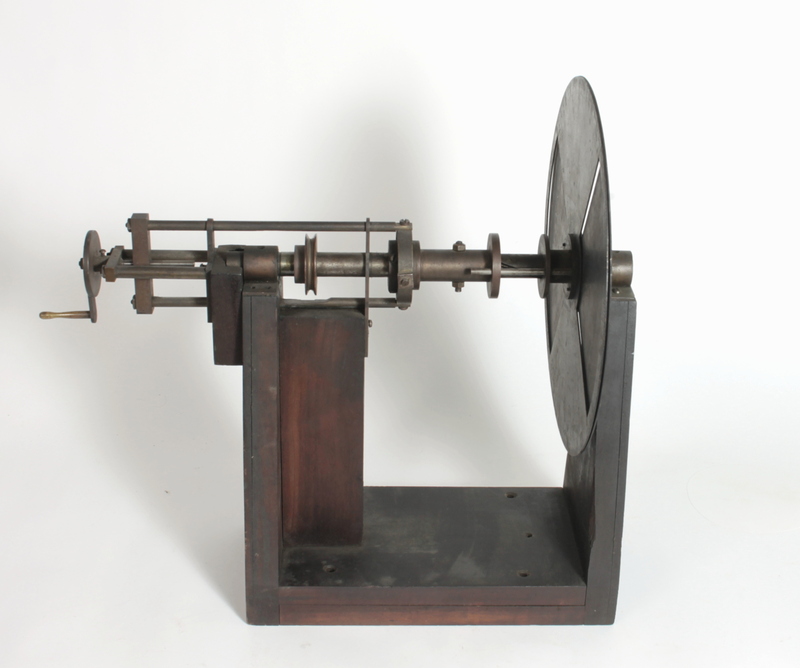 This relatively simple mechanical instrument, with its roots in a recently founded German research tradition, is a good material example from Canada’s earliest research tradition in experimental psychology. Maker: Likely a machinist or carpenter in a University of Toronto workshop. Materials: Wood, copper alloy, some iron alloy bearings, screws, and other fittings. The discipline of experimental psychology emerged in Germany over the second half of the nineteenth century. This new discipline—as well as the German approach to promoting original university research—was eagerly adopted in North America. The methodology of experimental psychology, as well as the experimental technology to which it was closely bound, was developed by Wilhelm Wundt (1832-1920), who directed a laboratory at the University of Leipzig beginning in 1879. Over the subsequent decades, this laboratory would train the first generation of experimental psychologists who would spread this new science, and its associated instrumentation, to universities across Europe and North America. August Kirshmann had worked and studied at Wundt’s lab. He led the newly founded University of Toronto Psychological Laboratory after its original Director, James Mark Baldwin (1861-1934), departed for a position in the United States in 1893. Kirschmann focused his research on aspects of visual perception, particularly colour perception; sensory perception was an important area of study among the early experimental psychologists. Kirschmann was to establish the laboratory as a major centre for the study of colour perception before he returned to Germany in 1909. The research conducted over this period by Kirschmann and his graduate students is described in two volumes of published reports that have now been digitized. Interestingly, several female students studied questions related to aesthetic judgment of colours under Kirschman. These notably included Emma S. Baker (1856-1943), who became a teacher and prominent advocate of women’s education. Reference to this episcotister—essentially a motor driven wheel— is found in a single one of the published experiments from Kirschmann’s lab. The instrument itself is described rather succinctly in two sentences: “A new double episcotister, which will be described elsewhere by Professor Kirschmann, was constructed for the purpose. The obscuring sectors could be varied whilst in motion.” The instrument was not, to my knowledge, described elsewhere, but this artefact seems to match this short description. 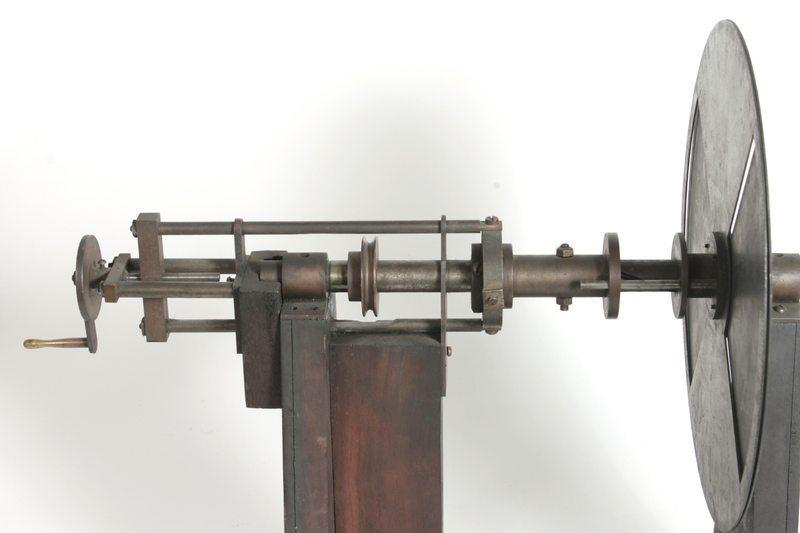 This instrument was used to study the eye’s varying sensitivity to different colours (wavelengths of light) under different levels of illumination, a phenomenon which is known as the “Purkinje effect”. Its namesake, the Czech experimenter Jan Evangelista Purkyně (1787-1869), famously noticed that under bright sunshine the flowers of his garden appeared intensely red against dull green leaves, whereas in the low light of dusk, the foliage appeared bright and the flowers relatively dull. Kirschmann used this episcotister in his experimental attempts to quantify this property of vision. With it, the perceived intensity of two points of coloured or uncoloured light—small holes in a covered window opening with coloured filters placed in front of them—could be compared when viewed through the spinning disc of the episcotister. The instrument’s variable opening would be used to reduce the light transmitted from the openings in a proportional and measurable way. A rough measurement of the perceived brightness of the two openings for a given level of illumination would be taken by placing tissue papers on the brighter of the two openings until the two points of light appeared to match. This instrument was made in a university workshop out of materials that are relatively easy to work with, notably wood and brass. This episcotister consists basically of a stand, a horizontal axle, and a disc. It shares this configuration with many similar instruments based around various uses of the optical blending properties of the spinning disc, or “disc mixture” as the technology was known. It was operated using an electric motor, which would have spun the central axle using a belt. If the motor used with this instrument still survives, it has not yet been identified. The artefact is well finished and would have taken considerable skill for a local machinist to manufacture. The “conventional” episcotisters that one finds in historical trade catalogues, are relatively simple wheels with manually adjustable openings. This instrument incorporates a comparatively sophisticated “spiral nut” mechanism that permits the opening to be adjusted while the wheel is spinning. This made it easier to gather observations from experimental subjects because the wheel could be adjusted seamlessly until a phenomenon—a colour match, for instance— was observed. This mechanism, which was first devised by German experimenters O. Lummer and E. Brodhun in 1896, was subsequently applied commercially to a variable colour wheel, or “colour variator” that was sold by the Zimmermann company in Leipzig. 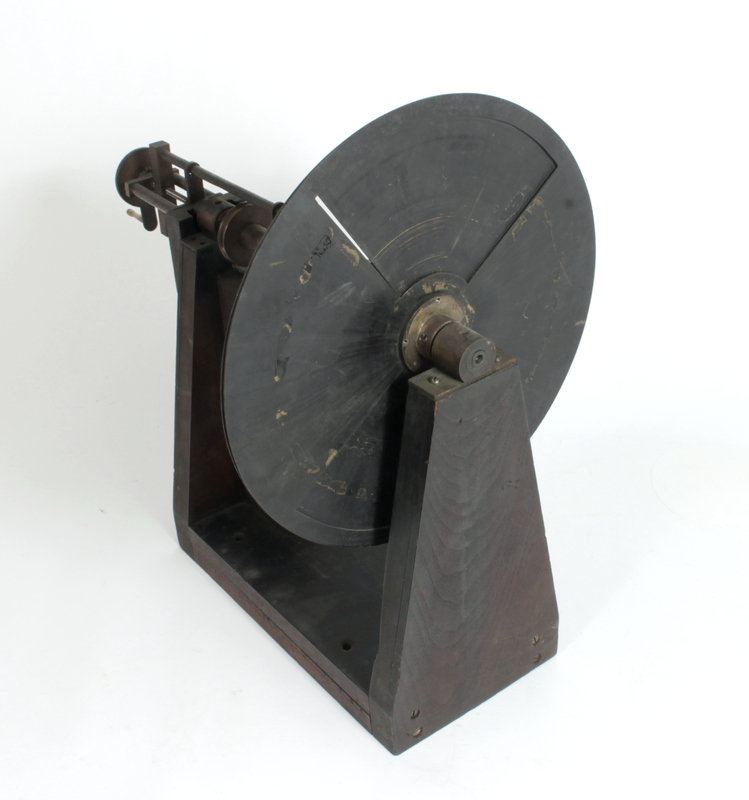 One such wheel, survives in the Psychology Collection at the University of Toronto and was used in a number of experiments in Kirschmann’s lab. The elaborate colour variator of the Zimmermann company makes an interesting comparison with the more humble locally made instrument. The former is made of steel, a much harder metal to machine than the brass of this episcotister. This artefact is part of the collection of historical psychological instruments, tests, and apparatus, and parts of apparatus, that survive in the collection of the University of Toronto Department of Psychology. It is one of a number of objects that survive from the early period of the Psychological Laboratory. No doubt, a thorough investigation of the collection will reveal many more such artefacts from this period. 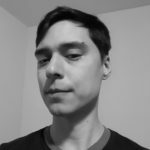 Erich has a PhD from the Institute for the History and Philosophy of Science and Technology. He is Curator of the University of Toronto Scientific Instruments Collection. – Weidenhammer, Erich. “August Kirschmann and the Material Culture of Colour in Toronto’s Early Psychological Laboratory.” Scientia Canadensis 38, No. 2, (2015): 1–19. – Green, Christopher D. “The Hiring of James Mark Baldwin and James Gibson Hume at the University of Toronto in 1889.” History of Psychology 7, 2 (2004): 130-153. – The chapter entitled “The Emergence of Psychology” in John G. Slater Minerva’s Aviary: Philosophy at Toronto, 1843-2003. Toronto: University of Toronto Press, 2005. For examples of the early instrumentation of experimental psychology, see the various trade catalogues at the Max Planck Institute’s virtual library.